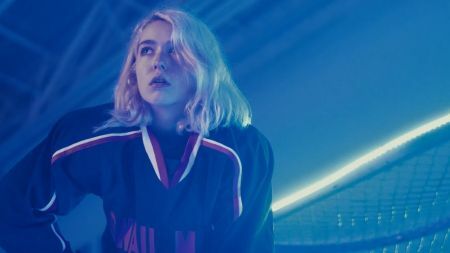 Indie rock songwriter Snail Mail (Lindsay Jordan) toured extensively and even extended the tour into 2019. Once more, she's adding dates that take her to additional U.S. cities and across Europe. First, she'll perform as the supporting act for Interpol at Madison Square Garden on Feb. 16 (Tickets). She'll then head to Australia and New Zealand before returning to the U.S.
As Lindsay Jordan and her crew tour the world, they'll make a stop in Asbury Park, New Jersey on May 25 to perform at Asbury Lanes. Presale events are currently underway and sales to the general public kick off on Feb. 8 at 10 a.m. local time. For additional information on the event including pricing and availability, click here for more details. Following the Asbury show and another in Boston the next night, Snail Mail will head over to several European countries to perform and will wrap up the tour with a set of dates in the U.S. mostly in the Ohio region. In 2018, Jordan released her debut album Lush which garnered the attention of music critics calling the 20-year-old a leader in the future of indie rock. It was supported by singles "Pristine," "Heat Wave" and "Let's Find an Out."